Our distributed generation systems allow you to generate your own electricity onsite and use the power of clean energy to reduce ongoing costs or generate new revenue, minimise risk and grid dependency, and lower your organisation’s carbon footprint. With our expertise in solar products, our broad understanding of the PV sector and our access to wholesale markets, we assist clients to identify the best value for money solution for their PV energy needs. Our supply services include product scoping and the supply of all components, from panels and inverters to ancillaries and monitoring systems. 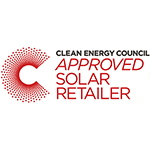 We are one of only a handful of WA retailers that are signatories to the Clean Energy Council Solar Retailer Code of Conduct, a voluntary undertaking that signals our commitment to uphold the highest standards in the Australian solar industry. 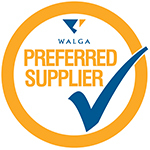 We take pride in providing optimum value for our clients’ investment in PV, in a professional and effective manner.